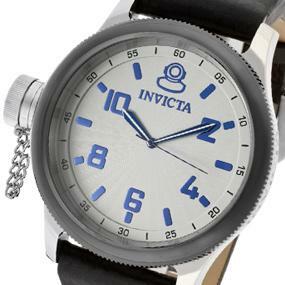 The Invicta Russian Diver watch is inspired by designs originally commissioned by the Russian Naval fleet in 1959. This high ranking collection of men’s and women’s watches commands attention with highly pronounced, over sized cases and signature locking screw-down crowns…many featured at the 9 o’clock hour with decorative chain accents. Take your choice of styles in stainless steel, gold plate and black ion plate with matching bracelets, genuine leather straps or contoured straps featuring a dynamic blend of silicone and steel. The Invicta Brand offers a rich heritage of Swiss watchmaking from its origins in 1837 by founder Raphael Picard in La Chaux-de-Fonds , Switzerland. The company’s name comes from the Latin term “invincible”. 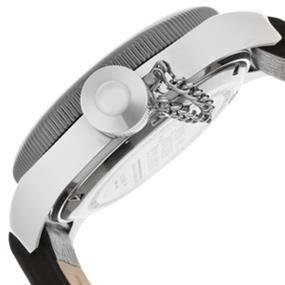 .. and their bold, innovative designs, matched to their impeccable quality, outstanding good looks and affordability have made them invincible leaders in the watch industry. Invicta has grown to encompass a wide array of collections that range from popular diving models to everyday fashion styles. The brand consistently elevates style while maintaining affordability and not compromising quality. Invicta is equipped to suit the most particular and diverse of tastes.